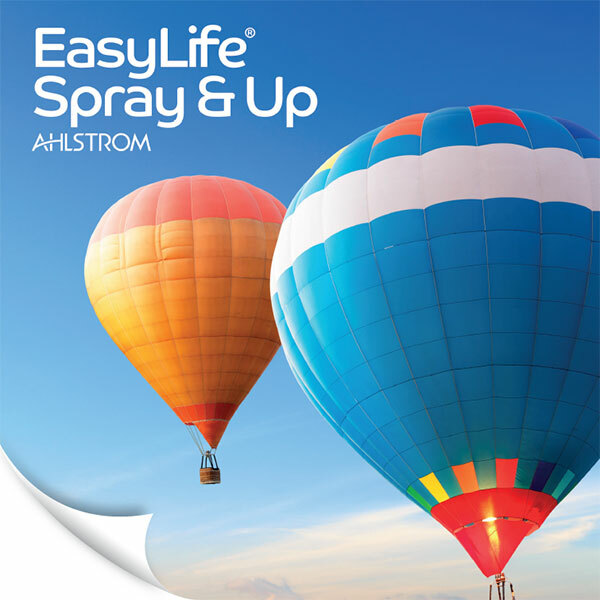 Ahlstrom EasyLife® Spray & Up is quick, easy and clean to use: no additional adhesive or specialist tools are required, just water and a spray bottle. The user can simply spray the wall with water, apply the material to the wall and the job is done. Application time is reduced by up to 60% plus cleaning is much easier and faster than with traditional wallpapers.